I am writing this post because hundreds of people are asking the same questions again and again without willing to do research before. So if you are reading this post because someone sent you the link: You dummy! You could have found these answers yourself everywhere on Moddb and our forum. This list is constantly getting updated with the most common issues people dont want to search for themself. You can download the full setup for Edain 4.3 here and here. In both cases simply click on "Download now" to download the file. Make sure you updated Battle for Middle-earth 2 to patch 1.06 and Rise of the Witch-king to patch 2.01 beforehand. You can download the BFME 2 patch here. Simply click on the language your game is installed in and the download will start. Double click the downloaded file to install the patch. You can download patch 2.01 here. Search for the language your game is installed in and then simply click on "DVD" if you have the DVD version or on "Origin" if you have the Origin version of the game. A prompt should open, click on "Extract" again. A new window should open when its done. 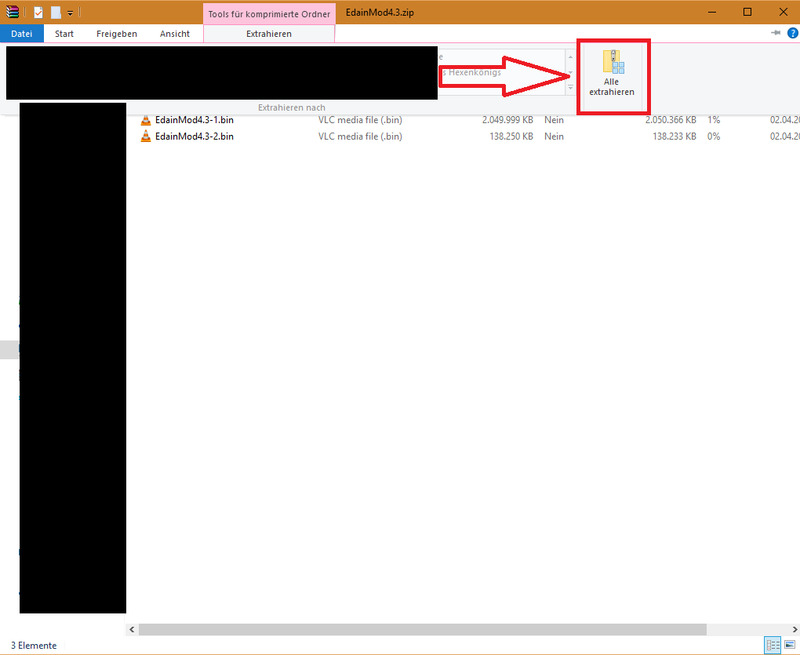 Doubleclick the EdainMod4.3.exe (file shown in the screenshot below), click on Yes if your computer ask for Administrator rights, select your preferred language and click on "Next" all the time. Its not that hard. 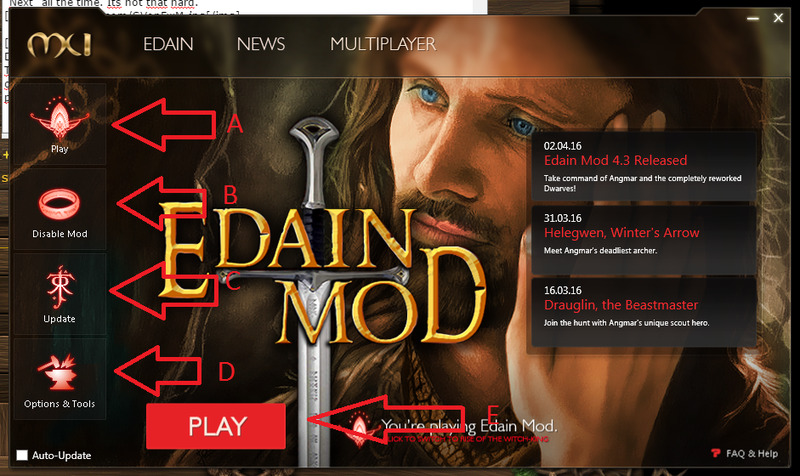 Double click the "Edain Mod" icon on your desktop. Accept the Administrator rights. The Launcher opens. You are getting asked in which question you want to start the mod on the first start up. 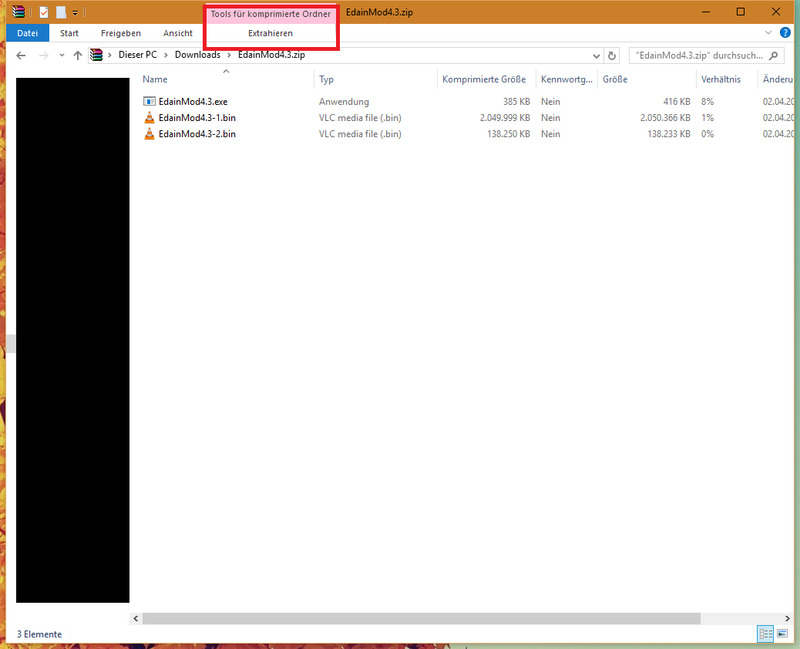 After that the Launcher itself opens as shown in the following picture. Click on "Play" ("A" or "E" in the picture) to start the mod. You can download the newest version of the launcher either here or here. Click on "Download now" to start the download. Double click the downloaded file, click on "Next" all the time till the setup is finished. Congratulations. You have sucessfully updated the Launcher. 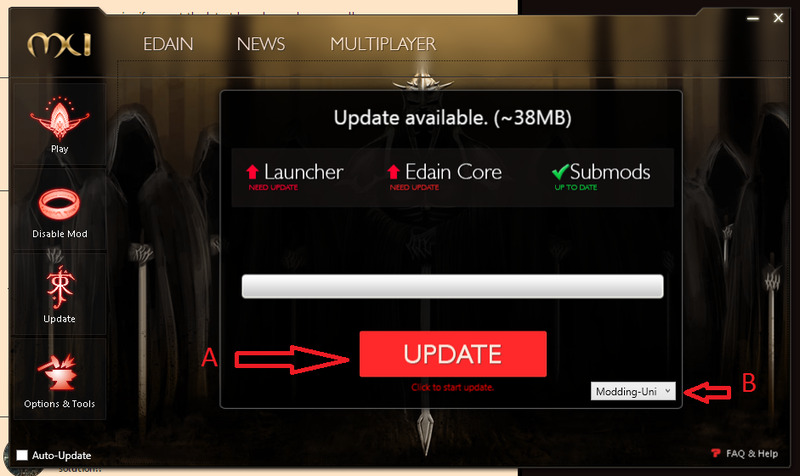 It is shown that a Launcher Update and a Mod Update is available. You can start those by clicking on "Update" ("A" on the picture). You can change the download server if your download is slow at "B". If both, an Launcher and an Mod Update, are available, then the Launcher will first download the Launcher update. A setup will open after finishing the download. Simply click next all the time. The Launcher will reopen after it is finished and instantly search for updates again. Click on "Update" again to start the mod update. The download size is shown above. 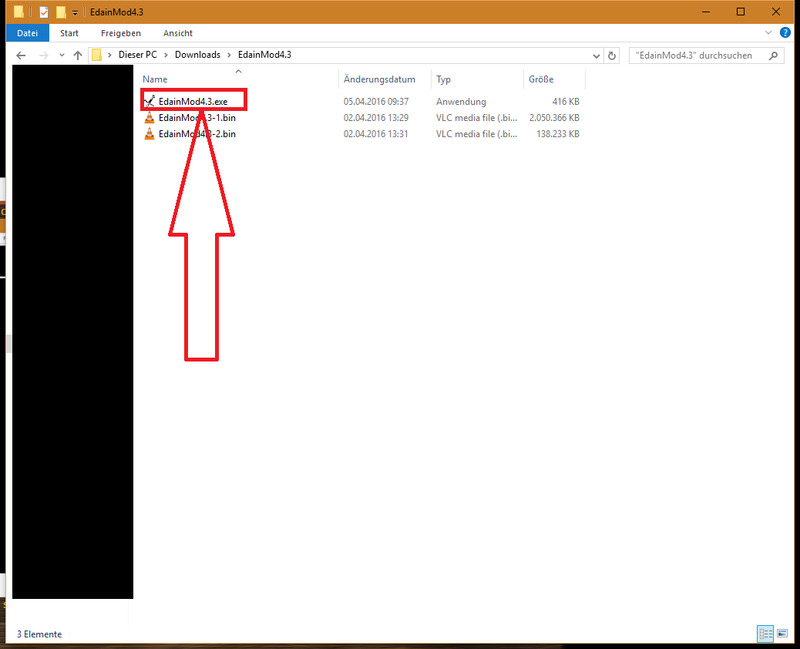 You can switch the download server during the download, the next file will be downloaded from the selected server after switching. Do NOT close the launcher while it is updating.